Make your product stand out with hot stamping. One of the fastest growing trends in customizing stock bags is hot stamping. Hot stamping is a dry printing process in which your logo/image is transferred to the bag using heat and pressure. The ability to apply custom images or text to our inventory items has given customers a new way to attractively enhance the look of their packages without committing to the large minimum quantities required for fully printed projects. Our affordable plate charges and low minimums make this a great printing alternative and ideal for start-ups or special projects w/ short runs. Part II of our Sealer Sales Band Sealer Maintenance Video Series will show you how to use the dry ink coding function on your Sealer Sales band sealer to print on the seal line. The feature is easy to use and made even easier with our video instruction. Print lot codes, expiration dates, and much more! 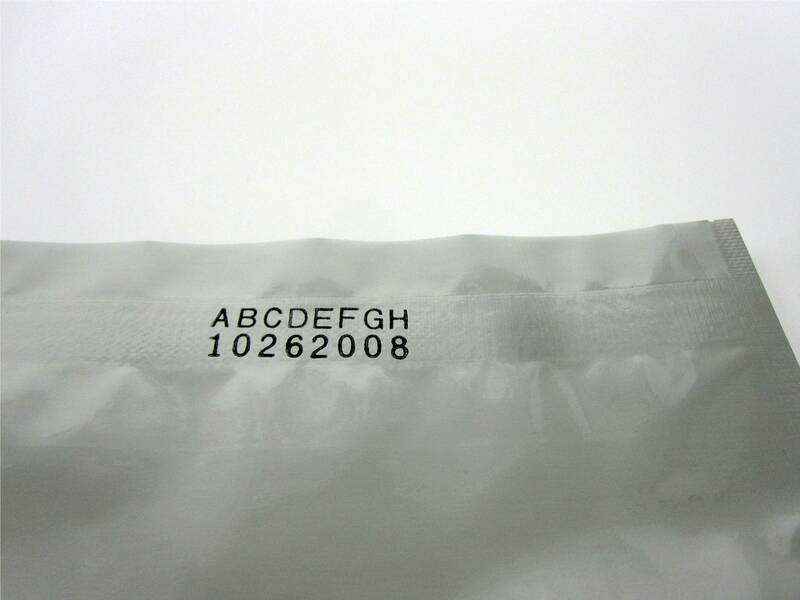 All of our stainless steel band sealers provide you with the option to code your bag whether through embossing or dry ink coding or hot stamp printing. Embossing leaves an imprint on your material w/o using any type of ink. 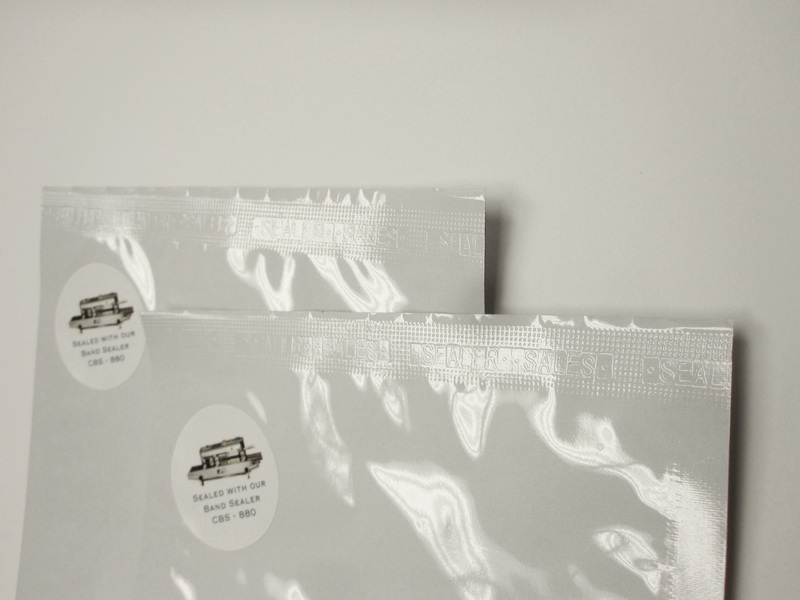 Our band sealers will continually emboss characters at the seal line and show up best on darker or foil type of bags! Dry ink coding prints ink on the bag using an ink roller that is heat activated. The standard font size is 18PT but we also offer an option of 10.5PT for those seeking smaller print sizes. Dry ink coding prints a very clear and solid message at the seal line. 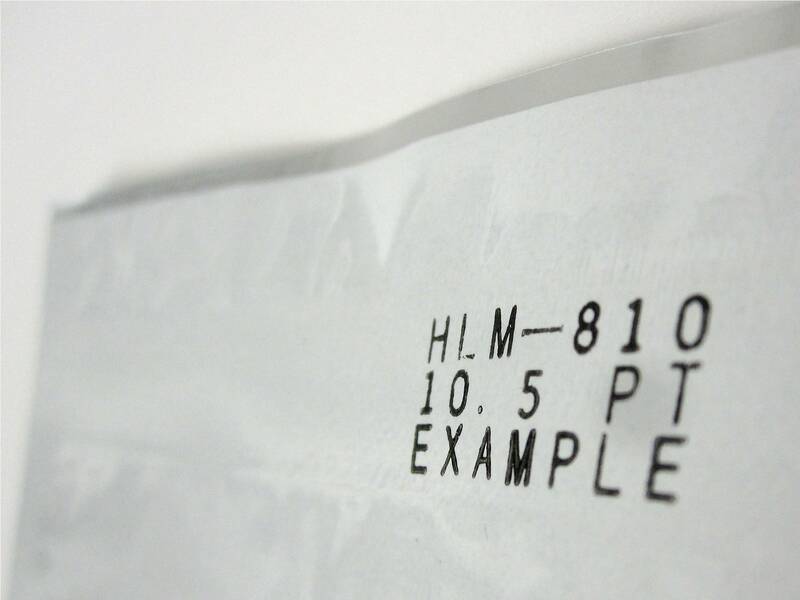 Take a look at a video to get a better idea of how our dry ink coding works! Take a look at our video demonstration to get a better idea of how dry ink coding works on our band sealers! Most of our distributors associate us with sealers, but we carry much more than sealing equipment. Please check out our HP-280 imprinter which allows your customers to imprint any type of information on his/her packaging. Use our HP-280 imprinter for any imprinting job….the automatic mode can imprint 20-70 imprints/minute. The HP-280 can imprint up to 3 lines of imprint with each line holding up to 14 characters. We also now carry a 4-line imprinter for anyone that needs to imprint more information on their packaging.